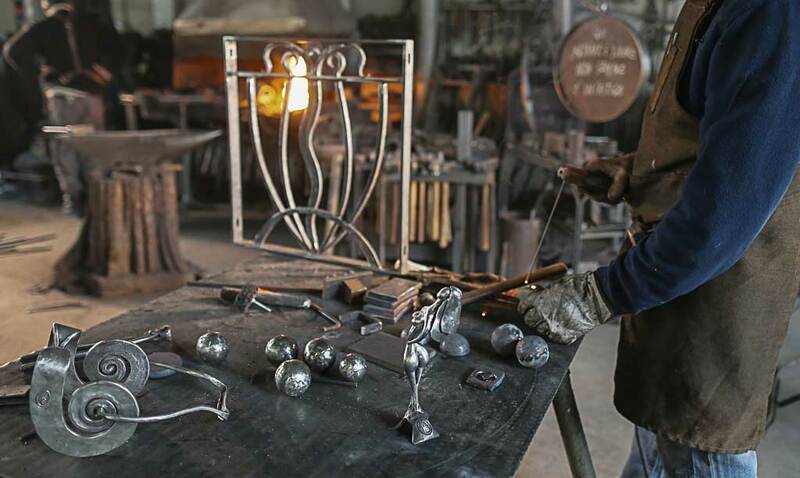 Artisan works that transform the hard metal into refined and gentle material. 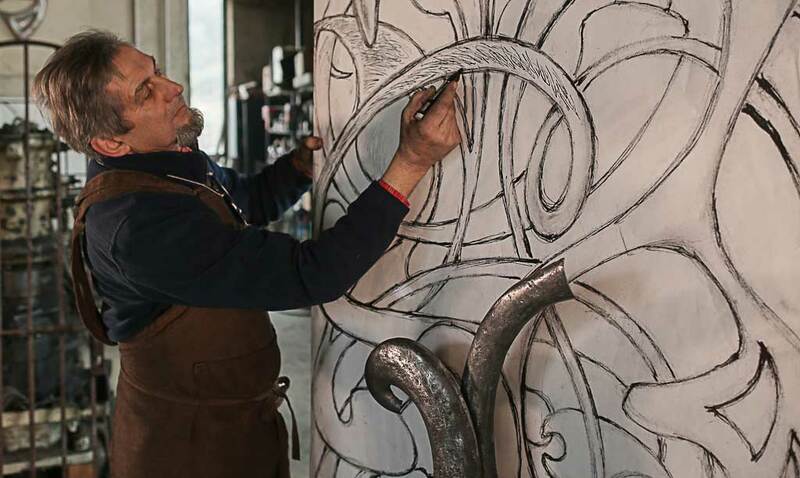 The art of wrought-iron of an Italian artisan workshop, located in Canale (Cuneo), through the words of Ivano Scarsi. Gino, Ivano, Serafino, then Bernardo and Emiliano Scarsi. Three brothers and two sons. 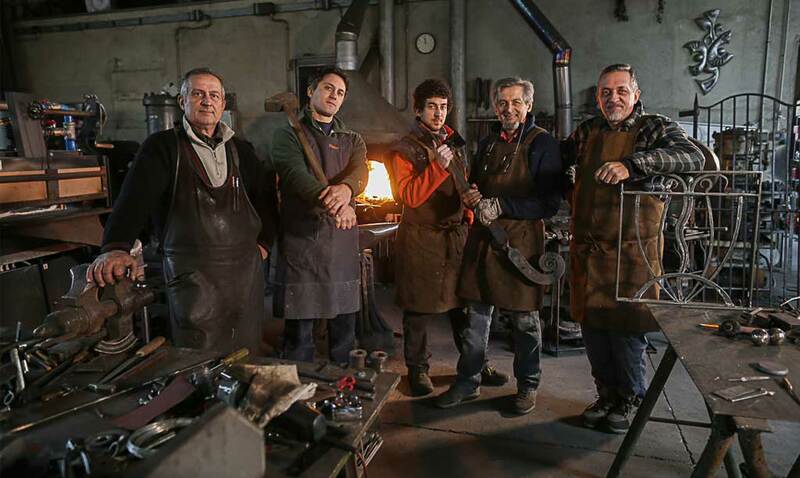 Five master craftsmen for a family tradition, in three generations, which they made hot wrought ironworks such as gates and railings, stairs, handrails, gratings, doors, objects and sculptures with forged and twisted details. Each work created by the Scarsi Bernardo snc team is an original design by their own hand, which often relies on still-life reproduction of local floral elements, such as lilies, calla lilies, shoots and vine leaves, already truly an inspiration for the “Liberty” style. In addition, animals and insects are represented, which enliven the surrounding countryside, like swallows, horses, chickens and moths. 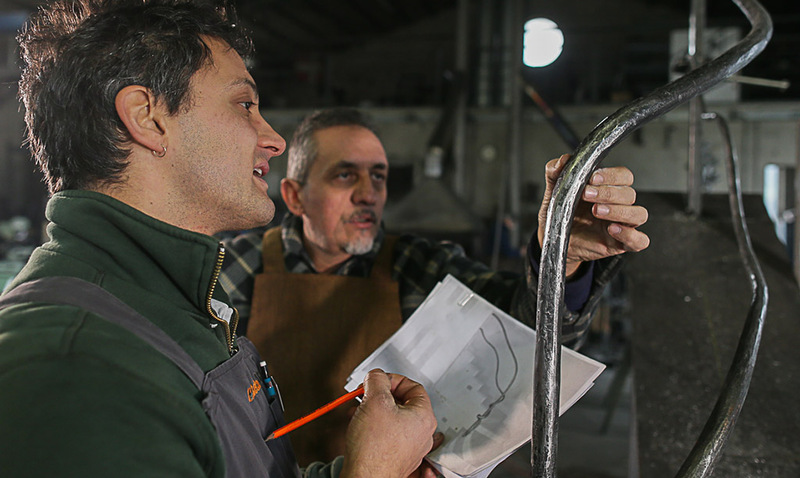 Each production is taken care of in their workshop, subjected to hot-dip galvanizing and subsequently antiqued, often adding wood trim or Murano glass to enrich these fine artisanship works. 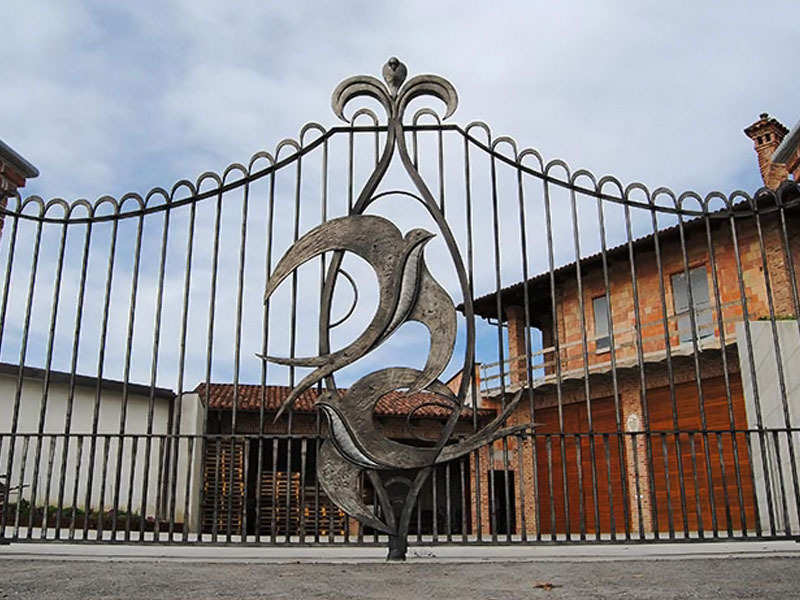 Amongst the significant achievements, we locate the new wrought-iron gate of the Scarsi Bernardo snc artisan workshop. Although designed in an informal style, that ties the gate to the rustic landscape thanks to its original lines, it required a rather long gestation. 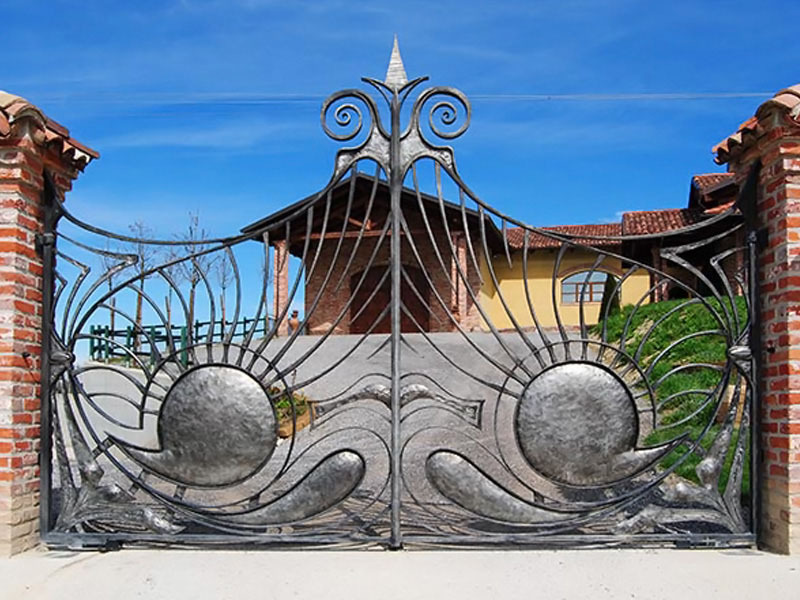 The gate, in wrought-iron and embossed, weighs about 3 tons per leaf. 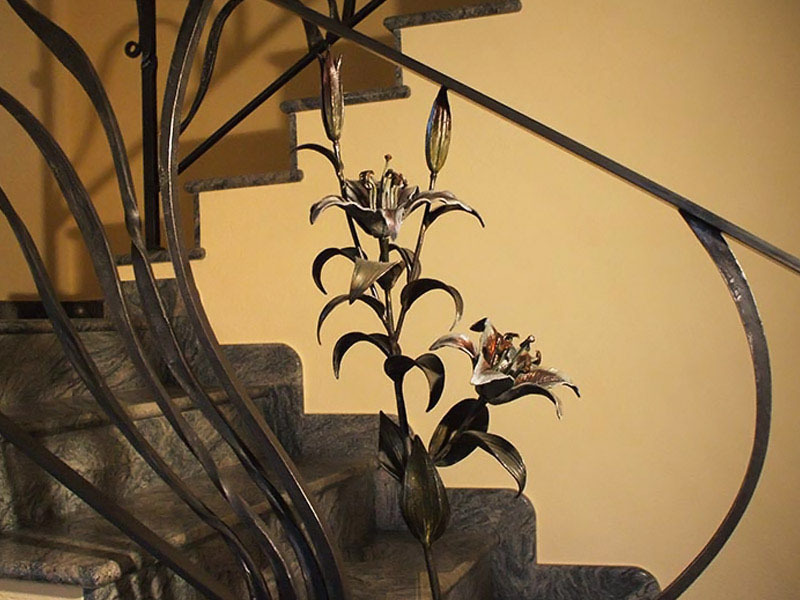 On the other hand, in the interior, we find a wrought-iron staircase with floral inserts (lilies), in which the floral element implementation was performed from a real flower procured by the customer. The treatment, specific for interiors, presents color glazes in transparency, obtained by brushing shellac. 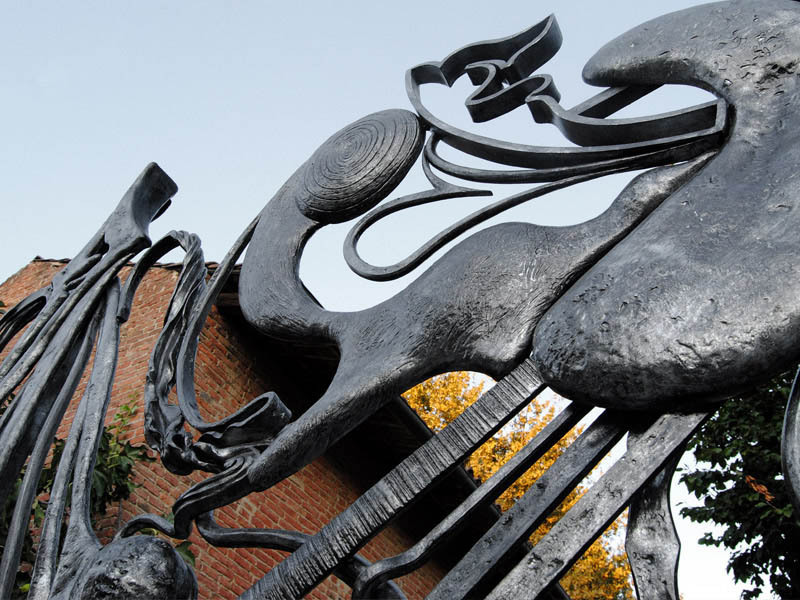 Therefore, it emerges as the wrought-iron has been an integral part of Architecture and the styles she created, in some cases becoming the key element (as in Art Nouveau). 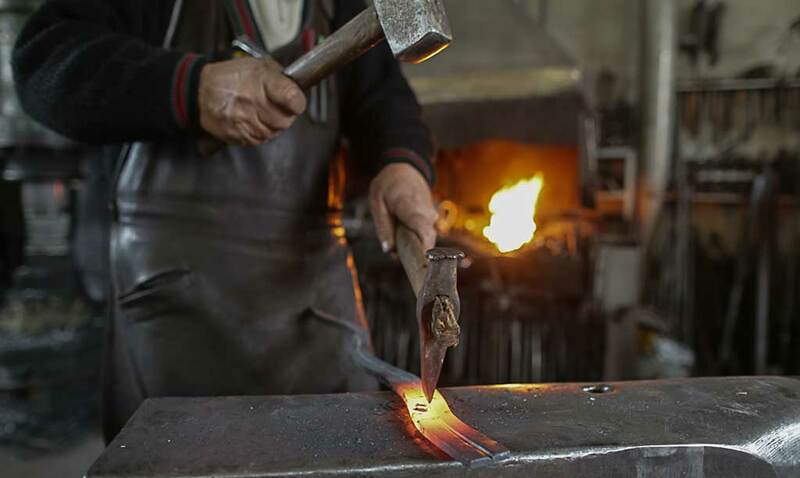 Even though considering the revival of various classical styles as a key element of “arte febbrile”, an authentic research on wide possibilities of wrought-iron expression (or cold working) can not be abstracted from the time we are living, with proposals and innovations, inclusive of social and aesthetic provocations. Our productions are primarily for the Piedmont, but we also worked in Milan, Liguria and small production for some foreign countries (such as Switzerland, Germany, Australia). 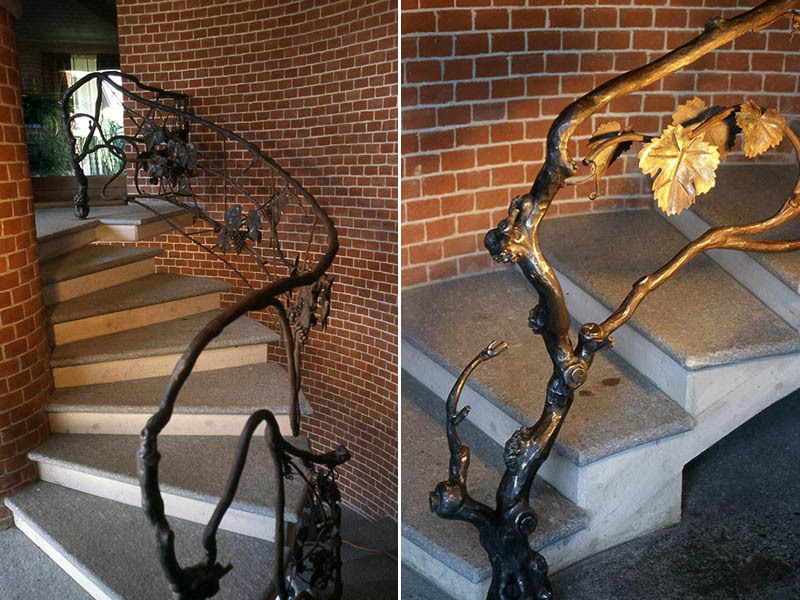 In our handicraft workings, the investment in research concerning participation in wrought-iron exposures (eg. 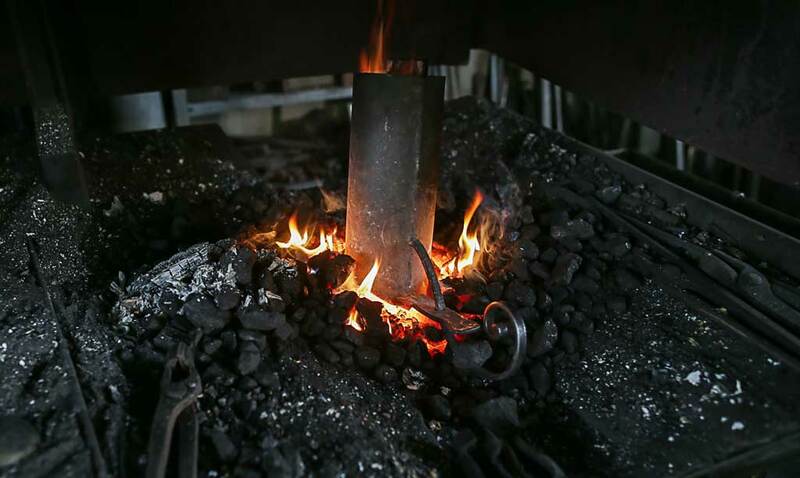 The European Biennial Art of the Blacksmith in Stia, Tuscany, Italy) and the study of publications on the artistic wrought-iron. In fact, we are in the book “Il Ferro Battuto, applicazioni contemporanee” by the author Alex S. Vidiella, published by LOGOS.